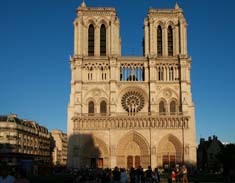 Ah Paris offers hundreds of short term vacation apartments in Paris at affordable prices from 3 days to several months. 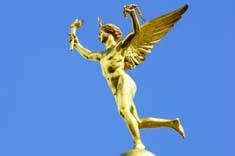 There are no hidden charges for Ah Paris vacation rentals. 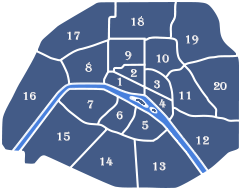 The prices you see for your Paris apartment rental include all commissions and taxes. Start searching for your dream vacation apartment now. If you're thinking of coming to Paris for business or holidays, why not make it a truly cultural experience by renting a vacation apartment in Paris! Whether with friends or family, everyone can stay in the same apartment. No frustrations from renting separate, independent hotel rooms. You and your children will be lodged under the same roof, in same apartment. You no longer have to worry about ending up down the hall from your children or even on another floor. Each apartment has its own character and ambiance. Your holiday apartment owner will give you tips about the best places to go in your area; she'll help you find the closest supermarket, the best restaurants and tastiest pastry shops. Feel free to ask questions. The flat owners are proud of their neighbourhoods and take delight in helping you discover the best addresses. This is your apartment, so make yourself at home. Invite guests over for a glass of wine. Settle down in your furnished apartment. You're in Paris now, so be Parisian. 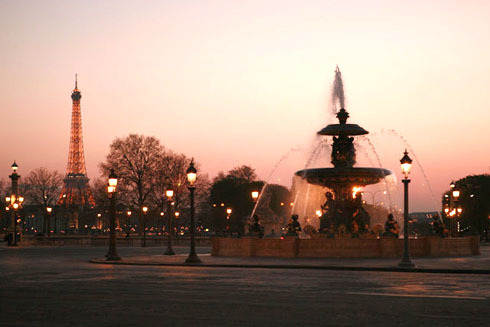 What can be more romantic than a holiday rental in the City of Love? Find an amorous hideaway for two. Whether you prefer to escape to a quiet, picturesque flat or jump into the party atmosphere in a trendy neighbourhood, Ah Paris has the short term rental for you. Choose the location of your apartment that's best adapted to your wishes, needs and lifestyle. You'll discover that you get a lot more for your money than you would in a hotel in the same neighbourhood. All of the apartments have fully equipped kitchens. You can cook in your own vacation rental without having to worry about high priced restaurants or the quality of food at a low budget restaurant. If you have a special diet or allergies, you control the content of your meals. Arrival and departure times can be more flexible. As long as there's no conflict with another client, most owners will let you arrive at and leave your holiday flat when it's most convenient for you. Rent our apartment of the day! Apartment 82: A beautiful apartment in a true Parisian neighborhood. Well furnished, with great presentation and everything needed for day-to-day living. Apartment 97: I stayed here my last visit. As always, everything was wonderful. Excellent location, close to Metro and bus, shopping, cafes. Quiet apt. off courtyard. Very well appointed. Apartment 285: The apartment is ideally situated between the Opera House and the Louvre especially for a first time visit to Paris. Everything you need is within walking distance. The landlord was helpful and courteous. The apartment is very quiet. The small deck is a great place to sit with a glass of wine or coffee. The whole experience was very enjoyable!